THE Socialist Party says the PF government has turned against the people in the Chalimbana river pollution issue. In a press statement issued by SP general secretary Dr Cosmas Musumali on behalf of the politburo, the party castigated the PF government leaders for casual approach to a very serious issue tabled by the Busoli Royal Establishment, on behalf of the people of Chongwe, concerning the discharge of sewer effluent pollutants into the Chalimbana river. “Such inertia in dealing with significant issues that border on the well-being of human beings they will soon be rushing to in order to get votes during elections, is a clear and indisputable proof of the pro-business stance that this PF party, which ironically claims to be a pro-poor party, is rooted in,” Dr Musumali stated. The Mast reported on Friday last week that on November 1, a delegation from the Busoli Royal Establishment stormed the office of water development, sanitation and environmental protection minister Dr Dennis Wanchinga to register their displeasure at the levels of pollutants finding their way into Chalimbana river, which is a tributary of Chongwe river, which in turn is a tributary of the Luangwa river. The delegation gave a historical narrative of how the problem of pollution of the Chalimbana river, a source of water for the majority of Chongwe residents, started with the business developments taking place upstream in Twin Palm area in Lusaka east. 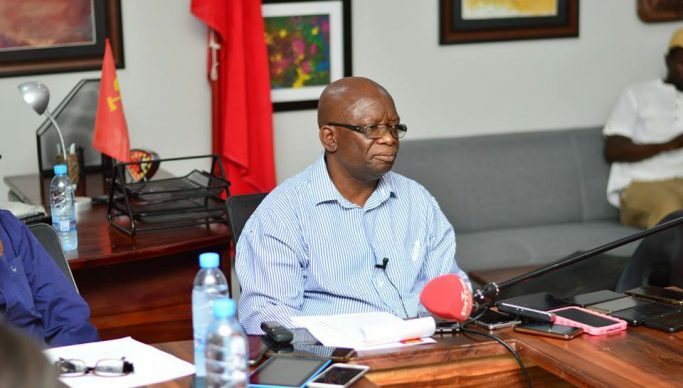 “From the manner in which the Busoli Royal Establishment delegation stormed Dr Wanchinga’s office, nothing could be further from the truth to say that this issue did not just emerge on Thursday. Concerns around the pollution of the Chongwe and Chalimbana rivers are long-standing and for Dr Wanchinga to respond in such a veiled manner to such a grave issue tells us a lot about the commercial interests that the PF leaders have a duty to serve in this worrying situation, at the expense of the working class and peasants of Chongwe,” Dr Musumali stated. He asked why the PF government could not decisively deal with the Chalimbana river issue. Dr Musumali added that with such “a casual response” from the PF administration to the continued pollution of Chalimbana river, the Socialist Party stands in solidarity with the people of Chongwe. [We urge them to step up resistance against the contamination of this vital river because the likes of Mr Edgar Lungu and his comprador politicians are only interested in serving the interests of their capitalist masters,” stated Dr Musumali. The Busoli Royal Establishment and Chalimbana River Headwaters Conservation Trust petitioned government to stop illegal developments on Local Forest Reserve number 27 in Lusaka east.